Although there has been controversy and legal litigation regarding who invented the most famous doll in history, most experts agree that Jack Ryan, as the Chief Designer for Mattel Creations, engineered Barbie's physical form. Jack Ryan was born on this date in 1926. 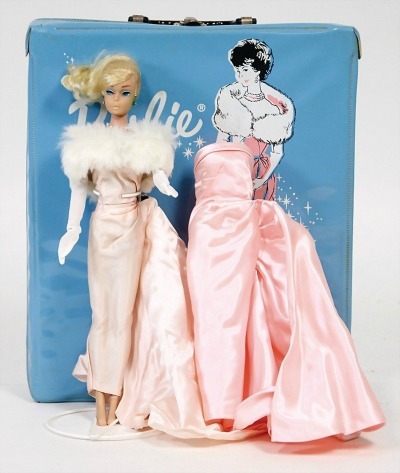 The Barbie legacy began in the late 1950's when the co-founder of Mattel, Ruth Handler, pioneered an innovative doll design that turned millions of girls into fashionista petites. She named the doll Barbie after her daughter Barbara. Moms and Dads everywhere responded to the ads for the new doll and Barbie became a fashion sensation. Many have questioned the message the culturally iconic doll sends impressionable young girls and whether Barbie's perfect proportions damage children's self esteem. After half a century, Mattel has bowed to these body image concerns and given Barbie a makeover. She now features three different body types and a variety of skin tones and hairstyles. While we applaud these changes, we contend Barbie has always been about the fashions. Do you remember when you played with Barbies? 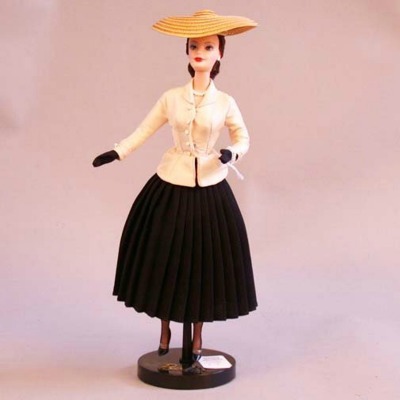 Or when you played with paper dolls? Didn't we change their clothes for hours so they could participate in our playacting activities? Until we got her wardrobe put together, Barbie went swimming a lot. Just like us, Barbie sometimes wore homemade outfits and sometimes she wore store bought. Then we could glam her up in gold lame, a la Marilyn Monroe style or send her off on an evening out in her orange satin and chiffon evening gown. Doesn't she look sweet in her blue gingham checked garden party dress? 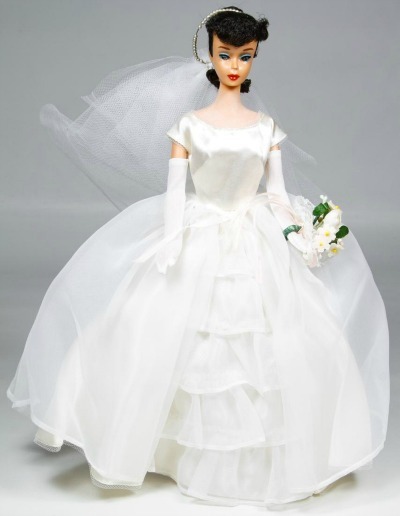 Barbie was a beautiful bride and wore the most exquisite wedding gowns. 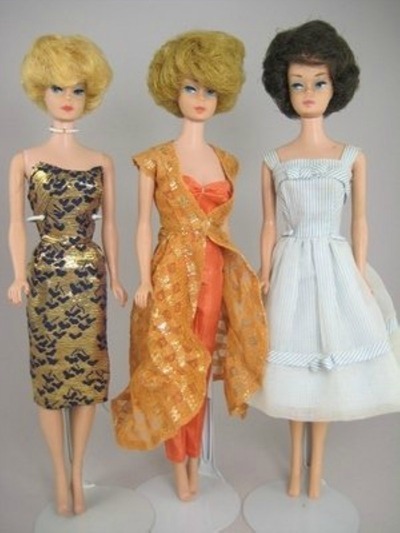 Barbie even had suitable attire to wear to The Academy Awards ceremonies - just in case. The very fashion forward Barbie only wore faux furs. Just like mom, Barbie wore lacy negligees that were still decorous. She particularly loved to wear her trendy polka-dot sheath dress. Barbie had all the accessories to prepare meals for her family or put on the finest dinner party for her friends. But where is her ever-present apron? Who but Barbie could wear a Dior New Look original?